Please do not post teams you've simply copied from another source, such as a YouTube video or article online. Hey, I didn't know if it was! ...Was it? Is this even allowed? Ohhh. Thanks. I'll let PM know. Um, B3N, where does it say that you need to ask? JCM asked, like 4 of these without asking anyone, and they were accepted. I'll suggest one of my teams, but it might not be very good. Mike told me you had to ask before you posted one and that you could only post one. Well, JCM posted, like, 5 and never asked. Well that is just what Mike told me, otherwise I have no idea. Look, Ben, I had Trachy and Pokemaster's permission. Someone remove this flag, we do not have to ask at all. GL, why suggesting Conkeldurr is not the best idea? You copied this straight from my In-Game team Qs, which is why it doesn't make any sense. Ehh....I lost a vote? Why!? who cares. Don't have a heart attack. There still aren't any teams with Serperior in it. How do I give vote?Does the admin vote only . EDIT: I just used this set up and beat a pokemon without even using a move, don't use fury swipes against a ferrothorn! how do you add pictures? I tried the image link and address, but it didn't work. Help! The Preview of the Pokemon I will select for you. The reason their is seven is depending on your game you will either get Gothitelle or Reuniclus as your Physic Pokemon. >Mixed Attacker,Semi-Wall, and Surfer. Surf is obvious plus STAB, and with Ice Beam and Megahorn are decent coverage hitting Dragon,Grass, Psychic,Dark,Flying,Ground,Rock,Fire for Super-Effective damage. Return because your starter will probably love you enough to cause major damage. >Brick Break and Crunch are STAB. Rock Slide is coverage and with Chip Away you can attack anyone that boost up and ignore the boost. This guy can Sweep three members of the elite four all by himself. >Your team's flyer. He has amazing attack and speed but if he gets under half his health hes pretty useless. Fly is to travel around Unova. Rock Slide is STAB. U-Turn and Dragon Claw are coverage. >A very good Pokemon. Thunder and Bug Buzz are powerful STABs and Energy Ball is coverage. The lower Accuracy of Thunder is taken care of by Compoundeyes. Thunder Wave is there to paralyze and help catch legendaries or other hard Pokemon to catch. Now depending on your game you will either get Gothitelle or Reuniclus as your next Pokemon. >Psychic is a powerful STAB. Shadow Ball and Thunderbolt are coverage and Protect is for filler, or you can have Flash to lower their Accuracy. >The Gothitelle of White Version. Pretty much the same except he has Energy Ball instead of Thunderbolt. >Another Mixed guy on your team. Icicle Crash is STAB. Brine,Grass Knot, and Rock Slide is coverage. Should'nt they be holding something? What if on beartic i replaced brine with dive? I use HP fighting or recover on reuniclus. HP fighting to cover that dark type weakness and to hit ice and steel types. Recover for reliable recovery to last longer. I don't like this answer very much. You explained how to use these Pokemon, but you didn't say why they're the better than all other Pokemon with similar types. For example, why is it better to have a water Pokemon than to use a rock Pokemon and a grass Pokemon to check fire and ground respectively? Why does the electric Pokemon need to be bug type? Why is it better to have a psychic Pokemon than to check fighting with the Archeops? Why is Beartic better than Vanilluxe? Sure this team can help a lot at the journey at first glance,but you also need to consider the time you got them.Archeops can’t help you against Burgh and Scrafty ain’t lending you a hand for Lenora. I've never played BW and I might never play them in the future, but I worked very hard on this team and I thought it would be a waste of my time if I didn't share it. The whole team can be assembled before defeating Clay, and has a super effective STAB attack against every major opponent except Burgh's Dwebble. The only problem with this team is that it requires at least two HM slaves. Please note that I didn't plan for post-national Pokedex opponents. As far as I know, this is the only way to get any fighting attacks before defeating Cress, who uses a Lillipup. Because of this, if you want to use fighting attacks on Lenora's Pokemon, you need to evolve Tepig as soon as possible. After you have a Pignite, you can keep it a Pignite until it learns flare blitz at level 52. You can get Pansage before the second battle against Cheren. I'd suggest you evolve it after it learns crunch, but you can evolve it anytime as long as you have a leaf stone and a move reminder to teach it seed bomb. You can get Sandile before defeating Elesa. Unlike all other ground Pokemon in the whole game, Krookodile gets STAB for crunch, which lets it land even more super effective attacks than it already does. You should evolve your Sandile at level 43 after it learns earthquake. You can then evolve it into Krookodile at level 44. Of all the electric Pokemon in Unova, Emolga comes with the best second type and an exceptionally powerful STAB attack in acrobatics. You can also teach it roost, which is very useful in things like the Battle Subway and even better ingame. If you don't want to wait until Victory Road to get a good electric attack, you can use a special set. However, this involves grinding a Woobat until it learns air slash, and then breeding it with a female Emolga, so I wouldn't recommend it. Good HM slaves to go with this team include Basculin (cut, waterfall) and Ducklett (fly, surf). Neither can learn strength, so I suggest teaching strength to Krookodile. If you like catching a lot of Pokemon, replace Simisage with Leavanny as soon as you can get Sewaddle. This is the only Pokemon I could find that's on the Unova local Pokedex and can learn false swipe and a sleep-inducing move. Sewaddle learns all its good moves before level 20, so you can evolve it into Swadloon as soon as you want. Swadloon learns all its good moves before level 21, so you can evolve it into Leavanny whenever you want. If you manage to do it before level 37, you don't need to spend an extra heart scale teaching it leaf blade. This answer took longer than I thought. Why flamethrower when flare blitz is so much stronger? I like how the second-most voted answer admits that its poster has no experience with BW. There is a Black/White in-game team for you. Obviously with all HMs. Emboar will be your starter. Flare Blitz for high damage but takes recoil and gains STAB. Heat Crash is a option if you don't like recoils and gain STAB too. Wild Charge for covering Water and Flying weakness. Scald for covering Ground weakness or Assurance for covering Psychic weakness. Hammer Arm gains STAB. Swoobat will be you flyer. Fly is to help travel the Unova region and gains STAB. Psychic gains STAB. Shadow Ball to coverage the Ghost weakness. U-turn is to coverage Dark weakness and to change Pokemon when you dislike the oponent. Krookodile will be good to kill two of Elite Four(Ghost, Psychic). Earthquake and Foul Play is a strong move that gains STAB. Aerial Ace for coverage Fighting, Bug and Grass weakness and Strenght is HM. Carracosta will be a little slave(with 2 HMs) but maybe very useful. The Sturdy(ability) is to defend 1 hit of the Grass-type move. Waterfall and Dive is HM and gains STAB. Earthquake is a very useful move and is for cover Electric weakness. Stone Edge is a strong move and gains STAB. >Beartic will be the surfer. Icicle Crash gains STAB. Surf is HM and covers Fire and Rock weakness. Brick Break is break walls(Light Screen, Reflect). Aerial Ace is to cover Fighting weakness. Place that can catch the Pokemon(the most faster place). Tepig→Pignite→Emboar: Gift from Professor Juniper(in a box) in Nuvema Town. He/She comes in Lv5. Woobat→Swoobat: In Wellspring Cave. He/She comes in Lv10~Lv13. Petilil→Lilligant: Trade a Cottonee for Petilil in Nacrene City(Black). She comes in Lv15. Cubchoo→Beatic: Twist Mountain. He/She in Lv28~Lv31. - Flare Blitz: Reaching Lv62(Emboar); Lv52(Pignite); Lv43(Tepig)/Heat Crash: Reaching Lv31(Emboar, Pignite); Lv27(Tepig). - Hammer Arm: Relearning in the house at right of the Pokemon Center in Mistralton City(Emboar). - Wild Charge: TM 93: Outside, very bottom of long slope(Emboar, Pignite, Tepig). - Scald: TM 55: Near entrance on ice in Cold Storage(Emboar)/Assurance: Reaching Lv38(Emboar); Lv36(Pignite); Lv31(Tepig). - Fly: HM 02: After defeating Bianca in Driftveil City. - Psychic: Reaching Lv41(Swoobat, Woobat) or TM 29: On a cliff in the southwestern corner in the Route 13 (requires Strength)(Swoobat, Woobat). - Shadow Ball: TM 30: In Relic Castle B2F (after get NationalDex)(Swoobat, Woobat). - U-turn: TM 89: Dropped by Wingull after all three Grams are returned in Route 13(Swoobat, Woobat). - Giga Drain: Reaching Lv26(Petilil). - Foul Play: Reaching Lv42(Krookodile); Lv40(Krokorok); Lv37(Sandile). - Aerial Ace: TM 40: In Mistralton City Runway(after defeating the Skyla and talking to the Youngster in the house behind the Pokemon Center)(Krookodile). - Strength: HM 04: From a man in the building northwest of the Pokémon Center in Nimbasa City(Krookodile, Krokorok). - Earthquake: TM 26: in Relic Castle 1F; in the room that leads to the exit to the northwest of the desert, near the stairs(Carracosta, Tirtouga). - Dive: HM 06: Receive from a girl in front of the house where Cynthia is in Undella Town(Carracosta, Tirtouga). - Stone Edge: TM 71: In the Challenger's Cave B2F, east of Protein. - Icicle Crash: Reaching Lv37(Beartic). - Surf: HM 03: Gift from Alder after defeating Cheren in Twist Mountain(Beartic, Cubchoo). - Brick Break: TM 31: Gift from an old lady in the Pokémon Center's lobby in Icirrus City(Beartic). - Aerial Ace: TM 40: In Mistralton City Runway(after defeating the Skyla and talking to the Youngster in the house behind the Pokemon Center)(Beartic, Cubchoo). They have coverage moves too.. and why don't you do that to the other answers, then? Great team!Going to use it after i beat the Elite Four with Serperior! Good team!I will use it. I like this answer I was considering a team very similar to this one. Except my starter was going to be Snivy. I think maybe I'll try for a different fighting type or a normal type to make up for not choosing Emboar. And I even though I love Krookodile I was going to try for an Excadrill instead. I just have to get Pokemon Black first then I'll play through to see what happens. This is for you people who like the water type starters. This is for the people that choose the weak osshuott. This guy is prepared for almost anything! Megahorn is a great move and,due to it's unbelevable power,makes almost everymove a one hit KO. Ice Beam is coverage and destroyes those grass types that just get in the way. Surf is STAB and let's you obviously "Walk on water".I was thinking of putting return in this forth slot,but Samurott has a better moveset that can change that to something better! Swords Dance is to up his great attack stat and to make megahorn an extreme threat. This is your guy for covering the E4 and this is also your main fire type. The power belt is for uping chandelure's defence stat so he can have a "normal"defense stat. Shadow Ball is for coverage of one of it's weaknesses, ghost types,and to beat those psychics that just get in the way,plus the STAB gives this move nice power. Psychic is to cover the fighting types in the E4,real threats like Conkeldurr or Sawk. Flamethrower is another STAB move and covers those annoying steel types that have strong defense. Without this,there would be no way to beat bulky steels with this guy. Energy Ball is for covering all the weaknesses of fire types and that's good cause there are three of them. This'll be your dragon type for the team.I choose him mostly to help Chandelure for dark types wich can be covered by Druddigon's Superpower. Outrage covers one of it's two weaknesses,dragon. I'd rather have this instead of Dragon Pulse or Draco Meteor beacause draco doesn't have enough PP and no pulse beacause of it's low power.Stealth Rock is to set up my only Hazard in this team and helps on destroying another weakness,ice types. Iorn Tail is to cover ice types that can be a big threat to this Druddigon.I'm thinking of putting some kind of rock type in later, so it's good that this guy covers the steel advanteges. Superpower can cover dark types for chandelure. That's mostly the reason for that so enough said. This is your main defensive type on your team,it's also your flyer. Earthquake can cover electric types like Zebstrika that can be a threat to archeops, plus I needed aground type move on this team somewhere! Rock Slide can cover some types that can be a challenge while versing archeops and this move gives STAB to archeops.Fly is needed to get around Unova efficantly, plus covers those grass or fighting types that you just can't beat.Plus it's STAB on Archeops.Heat Wave is purly for steel types that can be a hard guy to knock out or this could be for other types like that like ice. This is your electric type on the team. It's got a pretty good moveset, with a status inflicting move and a move to annoy the heck out of your opponent. Thunder can be awesome when you need a powerhouse move to knock out your opponent when you really need it, plus 120 power with 10 PP,I'll take that any day. Bug Buzz is way better than X-Scisor beacause of it's accuracy and power, this is just like megahorn and for some reason, I thinki it always works. Thunder Wave can help on practictly everything and is very helpful when catching legendaries like Kyurem. Double Team can be very useful when you want to be a nuisance to your opponent beacause this move reapeated can annoy the heck out of your opponent. This guy is mostly my last hope. It's also your main grass type on this team. Hurricane has great power and can knock out those fighting types that has too much power. Energy Ball is STAB and can take over as your powerhouse even though it has low power compared to petal dance or solar beam. Light Screen and substitute are for helping him last for a long time. Plus with light clay light screen last for eight turns. Well,that's my suggestion for this Q. There will be 2 more for Serperior and one for people that don't like the starters. This team has a few problems that I want to address. It is a strong team, however, Oshawott / Dewott will be the only Pokemon on the team, making Cilan and Lenora extremely hard to defeat without training another Pokemon and discarding it later. Even with Cottonee on the team, Burgh is definitely a challenge with his Leavanny, resisting Dewott and Cottonee both. Same with Elesa later on when Archen is obtained. All right, this is a team who will be different between the games. In black you will get Whimsicott and in white you will get Lilligant. I'm writing down the movesets when the team is level 50(pre-elite four). So this team will be built with oshawott as your starter. I'm using this team for my black playthrough. It's awesome so far. I haven't lost yet. I would recommend using this Pokemon Black/ White team. Emboar is easily the best choice for your starter as the Fire/Fighting type helps Emboar a lot in-game as a lot of important trainers have Pokémon that are weak to Fire/Fighting. Flamethrower gains STAB (Heat Crash is also an option, but it's a lot more situational that Flamethrower), Hammer Arm gains STAB (Brick Break is another option, but it lacks in power) and Wild Charge and Assurance cover Emboar's weaknesses to Water, Flying and Psychic. Seismitoad has one of the best dual typings out there: Water/Ground, meaning it has only one weakness: grass and with its good movepool is a great Pokémon to have and your team. Surf gains STAB and gets you across water, Dig is the best Ground type move it gets before the E4, but it's still a good attack. Poison Jab covers its only weakness and with Poison Touch, you'll poison the foe often and Drain Punch keeps Seismitoad healthy. 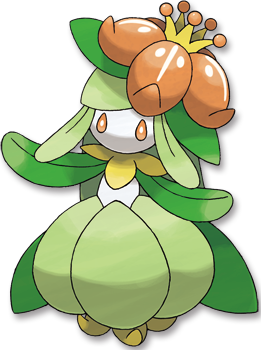 Lilligant is a great way of finishing the starter type trio with its great moves for offence, defence and support and pretty good stats and good ability. Petal Dance is a very powerful STAB move, but Lilligant is locked into it and confuses it after 2/3 turns, Giga Drain is another STAB move, but is for recovery instead. Quiver Dance is for setting up and potential sweeps and Sleep Powder, Stun Spore and Teeter Dance are for crippling the foe and Leech Seed keeps Lilligant healthy. If you are playing Pokémon White, catch one in Pinwheel Forest and if you are playing Pokémon Black, catch a Cottonee in Pinwheel Forest and trade it for a Petilil in Nacrene City. Also make sure you evolve your Petilil between level 26-28. Krookodile is a great Pokémon who has been blessed with two great abilities, a good typing and a surprisingly diverse movepool, as well as great stats. Earthquake gains STAB (It's learned at level 54, but you'll otherwise be stuck with Bulldoze and Dig), Crunch is another STAB move and Rock Slide and Aerial Ace cover its weaknesses to Ice, Bug and Grass. Archeops actually has the highest base stat total of any non legendary, mega, primal, mythical and alternate form Pokémon, but has a terrible nature to nerf it. Fly gets you around quickly and is a strong STAB move, Rock Slide is another powerful STAB move, as is Acrobatics, which is why Archeops has no item, U-Turn gets Archeops out of battle and does damage as well and Bulldoze covers Archeops' weaknesses to Rock, Steel and Electric. Vanilluxe is a great Pokémon and probably your best option for an Ice Type, it's faster, bulkier and accessable earlier than Beartic and Cryogonal isn't that good anyways. Ice Beam gains STAB, Flash Cannon is for coverage, Light Screen is a great support move that cuts the damage the team from Special Attacks in half for 5 turns and Acid Armour makes Vanilluxe much bulkier (besides, it doesn't have anything else for coverage anyways). Let's get this team started! Pokemon do not use Potions, Revives, or other man-made Medicines in battle. Remove the Max Elixir on Swoobat, as it is pointless. What the heck who puts Dragon Pulse on a Haxorus? This is the best team of them all.I like his team. Once again, a very powerful team. However, many of these Pokemon do not fully evolve until you are at the Pokemon League (Mienshao for example) or don't even evolve until after (Hydregion). Zebstrika was mostly used to paralyze, since he dies very easily due to is low defense and sp. defense. Leavanny have a high attack, so if you can use Swords Dance one or two times without dying then you just need to attack and most of the times the oponnent will faint. Zoroark is so damn powerfull, he defeated the most part of Pokemon in Elite Four easily. As you can only get Zoroark from event, Krookodile is the other option, being a really powerfull Pokemon too. One of my favourite Pokemon, Haxorus is SO freaking awesome, cool design and he can defeat all Pokemons easily. I was so damn lucky with this one. I was catching Rufflet, trying to catch one with Adamant nature, then a shiny one appeared and it had Adamant nature and Sheer Force what it was really awesome. lucky, i dont have a shiny braviary, wow. @SUiCiDE69 braviary screams "merica! f*** yeah!" [ i said it]. Leaf Blade gets STAB and has a high Critical Hit Ratio. Aerial Ace is for coverage however when Serperior has high happiness, return will be stronger. Dragon Tail is also for coverage and brings out a different Pokémon that the foe is using however this move has -6 priority making it go last most of the time. Leech Seed keeps Serperior from fainting and Coil buffs Serperior's Attack, Defence and Accuracy by one stage. Choose Snivy as your Starter. Surf gets STAB and can help you get good items (For some reason you don't need it for the story). Earthquake gets STAB, Poison Jab in combonation with Poison Touch means you will have a high chance of poisoning the foe and Drain Punch helps keep Seismitoad alive and also can activate Poison Touch. Find Tympole in the Pinwheel Forest exterior, west of Nacrene City. Brick Break gets STAB and breaks through screens which can be useful and Poison Jab can poison the foe. Rock Slide is weaker but more accurate and has a flinch chance whereas Stone Edge is stronger, has a high Critical Hit ratio but has a 20% chance of missing. Payback gets STAB and deals double damage if he moves after the foe (this includes being attacked, swapping out or item usage) and Scrafty has base 55 speed (very slow). Find Scraggy on Route 4, north of Castelia City. Fly gets STAB and gets you around Unova, Dragon Claw is for coverage and U-Turn allows to to return when in trouble but still dealing damage. Rock Slide is better than Stone Edge on Archeops due to abilities. Defeatist with half Archeops' attach when his HP falls below half meaning you don't want miss your attack not to mention Rock Slide can flinch so he can stop attacks. Choose Plume Fossil in the Relic Castle and resurrect Archen in Nacrene City's Museum. Thunder will be hitting a lot more with Compound Eyes (70% > 91%) and also gets STAB and can also paralyse. Bug Buzz break through Substitute and also gets STAB. Energy Ball is for coverage and Volt Switch gets STAB and then you swap to another Pokémon. Find Joltik in Chargestone Cave, South of Mistralton City. Flamethrower gets STAB and can burn the foe. Psychic is coverage and can lower the foe's Special Defence but Will-O-Wisp burns the foe and halves their attack in the process. Shadow Ball gets STAB and can also lower the foe's Special Defence whereas Hex deals double damage to anything with a status condition meaning anything burned by Will-O-Wisp, Flamethrower or Flame Body will take double damage from Hex and Energy Ball is fro coverage. Find Litwick in Celestial Tower, north of Route 7 (north of Mistralton City). Here's a great team that will get you through the entire game and has all the HMs! To start with, pick Oshawott as your starter. So, not the greatest set in the world but he is helpful as a slave for all the water you have to deal with. Revenge doesn't cover any of its weaknesses but it is the only fighting move on the team, and I wouldn't have defeated Ghetsis' Hydreigon without it. Ice beam covers grass, but we already have an ice type on the team. Now continue onwards until you reach Route 4. The next two Pokemon come from there. Now we're talking! I chose Crunch over Foul Play because it’s more reliable: your opponent won't always have a huge attack stat. Strength is another HM, and need I say anything about Earthquake? Aerial Ace covers three weaknesses (Bug, Grass and Fighting) but, like Ice Beam on Samurott, we already have flying moves. Outrage, on the other hand, is the only dragon move on the team. The idea behind Archeops is to use his huge attack to hit as many enemies as possible before the defeatist kicks in. Fly is the fifth HM, and earthquake is coverage. As for the rock moves, Stone Edge has more power but is less accurate, which means you could miss and have your stats halved before you can even attack! Rock slide is less powerful, but is more reliable. Finally, U-Turn lets you escape when Defeatist activates. When you get to Driftveil City, your next Pokemon is waiting in the Cold Storage. Every team needs an ice type to deal with dragons, and Vanilluxe does just that! If he's just battling wild Pokemon, Ice Beam will suffice but if he's battling a Gym Leader/Elite 4 he should use Hail, then Blizzard away. Flash Cannon is pretty good coverage. Chargestone Cave has your fifth team member. It’s also really useful to have a bug type and an electric type on your team - and Galvantula combines these. With compoundeyes, Thunder's accuracy is much higher than before and Bug Buzz is more soild STAB. Cut is the final HM (someone had to have it) and for a filler move I would suggest Energy Ball, which covers the rock weakness but it’s really up to you. The final Pokemon is in Celestial Tower. Let’s get right into this. Shadow Ball and Flamethrower are obvious STAB choices. Energy Ball covers three weaknesses and Psychic is coverage. It’s simple. Thats the entire team completed. Please note its for in-game purposes only! If you were using it for competitive battling you wouldn't include HMs! Thank you very much for reading. P.S. Some of these moves are only available post-Elite 4. Its meant to be a final/E4 rematch team. Your starter. Helps you take on many Strong opponents. Her attack is not really that high, so Coil is there to boost her attack and Defence, as well as accuracy. Leaf Blade is physical STAB. Return is there because she is your starter and will be with you throughout the game. Dragon Tail to inflict damage and also to switch out the target if it's a strong one. Miracle Seed gives a nice boost to Leaf Blade. Krookodile helps you take on most of the elite 4. Earthquake is powerful STAB. Crunch is reliable STAB too. Outrage is powerful STAB. If you don't want to be locked into Outrage for few turns and being confused at last, Dragon Claw is also a choice. Stone Edge is powerful coverage. He will threaten Caitlin and Shauntal. Crustle also takes on most of the elite 4. He will threaten Grimsley and Caitlin. Stone Edge and X Scissor are powerful STABs. Earthquake is nice coverage. Swords Dance is to make Crustle's moves more deadly. Teams need a surfer and flyer, so why not have both in one? She will help you take on Marshal. Fly and Surf are great STABs and needed HMs. Brave Bird surely one hit KO but a move only used for power. Ice Beam is great coverage. She serves as a very helpful Pokemon in your journey. Chandelure moves will surely one hit KO as long as it is a special one. Calm Mind gives a nice boost to Sp. Attack and Sp. Defence. Inferno is STAB with great power which can surely one hit KO. Shadow Ball is STAB. Energy Ball is coverage that covers most of Chandelure's weakness. The most simple Haxorus set. Brick Break is coverage. Earthquake hits levitating Pokemon because of its ability. Outrage is powerful STAB move but leaves the user confused after a few turns. Swords dance is to give the physical moves a great boost so that it will be more powerful. Surf gains STAB and allows you to cross bodies of water. Megahorn is a very powerful coverage move, and Aerial Ace and Dig are other coverage moves. Choose Oshawott as your starter Pokémon. Earthquake gains STAB and is very powerful, Metal Claw is it's only Steel Type move so it will have to do and Rock Slide and Poison Jab are excellent coverage attacks. Catch a Drilbur from a dust cloud in Wellspring Cave. Flare Blitz gains STAB and is very powerful but the recoil is a large drawback which is why Fire Punch is there, a solid attack with no drawback, Hammer Arm is a great coverage attack and Bulldoze is for more coverage. Fly gains STAB and is useful for getting around the region, Rock Slide gains STAB, U-Turn is coverage and allows Archeops to get out of battle quickly while still dealing damage and Dragon Claw is more coverage. Choose Plume Fossil from the Backpacker in Relic Castle and resurrect it at Nacrene Museum. Thunderbolt gains STAB, Dragon Claw and Crunch are both excellent coverage attacks and Volt Switch allows it to get out of battle quickly. Catch a Tynamo in Chargestone Cave. Icicle Crash gains STAB and Superpower, Brick Break and Aerial Ace are all excellent for coverage. Catch a Cubchoo in Twist Mountain. I'll write one for the Fire-Type, Emboar! The starter for your team. Flare Biltz gives you recoil damage, but gains a poweful STAB from it. Hammer Arm is your only valuable opinion for STAB, even though it does lower your Speed by 1, you not really outspeeding everything. Wild Charge is coverage for it's Water and Flying weakness. And Assurance destroyed Psychic types and Ghost types. The Grass type of your team, the perfect counter to Emboar's weakness to Ground types. Giga Drain is STAB, which drains your opponents HP. Petal Dance is also STAB, which hits opponents hard 2-3 turns, Own Tempo prevents Lilligant from being confused. Quiver Dance is there to raise your Sp. Att, Sp. Def, and Speed, by 1. Sleep Powder is there so you can puts foes to sleep. Krookodile would be good for the Elite 4, Ghost and Dark. Earthquake is the most powerful Ground STAB move. Crunch is STAB, which have a defense on lowering your target's Defense stat by 1. Coverage for Krookodile would be Stone Edge for Bug and Ice types. And Thunder Fang is for Water types. The Ghost wall of your team. Hex is your Ghost STAB, which pairs perfectly with Will-O-Wisp, a move which burns your opponents. If you target has a status ailment, Hex's base power doubles to 130, which is more powerful than Shadow Ball. Coverage for Cofagrigus would be Psychic to destroy Fighting types and Poison types. And Nasty Plot is there to boost your Sp. Att by 2 stages. Your team flyer for your team, obviously, the best flying type you can catch early in the game. Psychic is your Psychic STAB move, which destroys Fighting and Poison types. Air Slash or Fly is your Flying STAB move, while one being useful in-game, while the other is a special move, which Sigilyph is a special attacker. Coverage for Sigilyph is Shadow Ball, which kills Psychic and Ghost types, while Charge Beam is coverage for other Flying types and Water types, and has a 70% chance of increasing your Sp. Att by 1 stage. The surfer for your team. Surf is useful in-game and gains STAB, which kills your Ground Weakness. Stone Edge is your Rock type STAB. Coverage which be Ice Beam for your Grass weakness, and Focus Blast is coverage for Steel and Dark types. All of these team members are accessible after the 3rd gym. While Samurott may not be as good as Emboar for advantages throughout the game, automatic access to Surf as well as other options for Fire and Fighting types means Samurott is still great. Surf is your main STAB move and gets you across water, X-Scissor covers his weakness to Grass (Megahorn is another option, but it is somewhat inaccurate), Dig covers his weakness to Electric and Aqua Jet is another STAB move but is mainly for finishing others off. While Gurdurr isn't fully evolved, with the Eviolite, it can actually take hits better than his evolution and dish out great damage with base 105 Attack, however if you do have access to trading, do evolve it into Conkeldurr. Hammer Arm is your main STAB move but has its drawbacks, so Brick Break is also included, Rock Slide covers his weakness to Flying and Bulk Up allows them to set up for sweeps. Krookodile is a great Pokémon with two great abilities, an amazing in-game typing and great moves to help cover many different types. Earthquake is your Ground STAB move (if you don't get EQ, you'll be stuck with Dig and Bulldoze), Crucnh is your Dark STAB move, Rock Slide covers his weaknesses to Ice and Bug and Aerial Ace cover his weaknesses to Bug, Grass and Fighting. Darmanitan is probably your best option for a Fire type in BW other than Emboar as he has a great ability in Sheer Force, great moves to go with it and great stats for attacking. Flare Blitz deals huge damage but also does a lot back to Darmanitan so Fire Punch is also provided, Superpower covers his weakness to Rock and Thrash is for filler. Archeops is a great Pokémon learning Acrobatics shortly after being obtained, having amazing offensive stats and great moves to cover his weaknesses, however, he does have quite a bad ability, but that's because he'd be OP otherwise. Fly is your main Flying STAB move (unless you run Acrobatics) and gets you around quickly, Rock Slide is your Rock STAB move, Dig covers his weaknesses to Electric, Steel and Rock and normally you'd have to be weary of EQ's with Dig, but since he's Flying, foes won't think to use EQ, Acrobatics is your main Flying STAB move if you run it (if you do run Acrobatics make sure you have no item on him) and U-Turn gets him out of he's in a pinch. Haxorus is one of the coolest designs for a Pokémon out with axes on his face and they are also luckily amazing in battle, despite spending quite a while as Axew and Fraxure. Dragon Claw is your main STAB move, Dragon Dance helps set up for potential sweeps, Rock Slide covers his weakness to Ice and his last move slot can really be anything, so I have him False Swipe to help out more with catching hard-to-catch Pokémon. A lot of the choices I made were influenced by this site here, so check them out: http://www.smogon.com/ingame/misc/bw_ingametiers. In all honesty, I was putting off making a Serperior team for a while, mainly because I was really struggling to come up with a solid team that didn't retain any team members from my Emboar and Samurott teams, however, I think this team is overall pretty solid. Serperior is easily the worst of the 3 Unova Starters. It is very fast and has good bulk, but really lacks any solid attacking power, and mono-Grass isn't very good defensively, and without Contrary, Serperior can fall behind. But she is definitely still usable. Leaf Blade is your main STAB move, Return can hit hard with full happiness, whereas Aerial Ace covers her Bug weakness, Coil and Growth are for setting up as Serperior doesn't deal out much without some buffs (luckily she has plenty of speed and bulk to get off a Coil or Growth) and Giga Drain and Leech Seec are for keeping Serperior healthy. While Serperior may be the worst of the 3 Starters, at least you get the best of the 3 Elemental Monkeys. Simipour is easily the best of the 3 as he comes with Water Gun which is better than Vine Whip and Incinerate, gets Scald very early which is amazing, and mono-Water is just better than Fire and Grass due to less weaknesses. Surf is your main STAB and gets you across water, Scald is for Double battles or trying to burn your opponents (which helps with his bad defence), Acrobatics covers his Grass weakness and deals a lot of damage with no item, and Dig covers his Electric weakness. While on both my other teams I used Krookodile, this time I went with Excadrill (although, in all honesty, I probably would've used Krookodile again if I was allowing myself to repeat team members). That's not to undermine (no pun intended) Excadrill though. Excadrill has amazing Attack, great HP, solid Speed and gets most of his best moves through level up. This Pokémon is truly a monster. The only issues are that when you first get Drilbur, you'll be using Mud Slap for a little bit, but Dig comes around soon enough. Earthquake is a great STAB move that comes early, Hone Claws and Swords Dance are for setting up to sweep (it comes down to whether you want disgusting power, or slightly less disgusting power with a more reliable Rock Slide), Rock Slide allows him to hit Flying-types and cover his Fire weakness and Aerial Ace covers his Fighting weakness. Scolipede was a Pokémon I never really thought about, but when I hit Burgh, I was completely stuck. His Leavanny would've destroyed me. But when I looked into the Venipede I realised that he would actually be incredibly useful. Scolipede is very quick and has a great Attack stat as well as pretty good moves to make him really useful. Also, this has nothing to do with this but Scolipede has one of the best shinies ever. Megahorn is a very powerful STAB that also covers his Psychic weakness, Poison Jab is STAB (you could probably just switch this move out for more coverage or a different Bug STAB), and Bulldoze and Rock Slide covers all his remaining weaknesses: Fire, Rock and Flying. Just like Scolipede, Sigilyph was a Pokémon I never really thought that much about, it was just that one Pokémon that N had that I couldn't beat when I first played Pokémon White. But after looking into it, Sigilyph is actually really good. She has great Special Attack and Speed, great STAB moves and coverage moves which destroy the majority of Team Plasma. Psychic and Air Slash are both STAB, Shadow Ball covers her Ghost weakness and Flash Cannon covers her Ice and Rock weaknesses. While Chandelure doesn't become incredibly strong until the post-game as Flamethrower and most of her coverage attacks are post-game, her monstrous Special Attack mixed with a decent main-game Special movepool makes her a huge force to be reckoned with. Unfortunately, since Flamethrower is post-game, Flame Burst will have to do as STAB, but coming off of Chandelure's 145 Special Attack, it still does loads of damage. Shadow Ball is STAB as is Hex (only have Hex if you are willing to spend a turn inflicting a status condition first), Confuse Ray and Will-o-Wisp can help with her frailty and cripple the opponent and Fire Blast, while not as accurate, still deals insane damage and thanks to the Wide Lens, gets boosted to 93.5% accuracy. Samurrot is a great mixed attacker that has decent bulk. Surf is STAB, Ice Beam / Blizzard are powerful coverage moves, Grass Knot is good against opposing water types, and Hydro Pump / X-Scissor are good moves. Samurrot does good against most opponents and can take hits whilst dealing massive damage with its wide movepool. Stoutland is possibly the best normal type ingame with its big attack stat, decent speed, good bulk, and Intimidate. Return is STAB, Crunch is good against some ghost types and psychics, Ice and Fire Fang are coverage. Stoutland has some other moves not mentioned above that could be helpful such as Work Up, Retaliate, Aerial Ace, Rock Tomb and Wild Charge. I had to put this guy on the team, he does so well the whole game. Zebstrika might not be the absolute best electric type in the game, but it still is a great Pokemon with its high speed and decent offensive stats. Thunderbolt / Wild Charge are STAB, Overheat / Flame Charge are coverage moves, Volt Switch / Return are good utility / coverage against ground types, and thunder wave is utility. Zebstrika is overall a great electric type even if it has a somewhat limited movepool. Sawk is great in Unova with its type, moveset, amazing attack, and decent speed. Brick Break is good reliable STAB, Earthquake / Bulldoze are coverage, Rockslide / Rock Tomb deal with flying and bug types, and Close Combat / Bulk Up are good moves Sawk gets by level up. Sawk is great against Lenora and has a fantastic end game. Make sure Sawk have sturdy and not Inner Focus, its way better. Scolipede is one of my favorite Gen5 Pokemon, so I’m using it. X-Scissor / Megahorn are bug STAB, Rock Slide / Rock Tomb are great coverage, Earthquake / Bulldoze are also great coverage, and Poison Jab / X-Scissor are STAB. Scolipede has great speed and attack along with good defense. STAB Megahorn destroys Unovas bulky and slow psychic types, even though its weak to them. This is a really fun Pokémon I hope you enjoy using. Cofagrigus is an amazing physical wall with good special attack. Shadow Ball is STAB, Will-O-Wisp cripples physical attackers, Grass Knot / Psychic are coverage, Calm Mind / Substitute are good utility moves. Cofagrigus and its amazing defense, ghost type, Will-O-Wisp, and the Rocky Helmet basically make it wall almost any physical attacker. I suggest waiting till you can catch Cofagrigus in the wild after Dragon Spiral tower, raising Yamask can be tedious. Here is my favorite Pokemon Black team. This is an amazing set for Serpy. Coil is the crux of it as he can soak most hits but who can resist choosing a move that ups Atk,Def, and accuracy in one go? Leech Seed is a must with Coil. Leaf Blade is STAB and good power. Return is going ot have a high power so it is definetly worth it. Miracle seed can be obtained by Castelia City. Some people wonder why Serpy. I personally have chosen it in B and B2 because of its major advantage above the others, that is its speeding bulk. And I remember that Chili, Lenora, Elesa, and Clay fell to its amazing defenses teamed with speed unmatched by most ingame trainers. The next Pokemon you get will be from Route 4. He is a great Pokemon for beating Burgh to death. Any Rock type move he knows(even as a Dwebble) will just destroy the Gym. And he can even be used right up through the E4. So X-scissor is for STAB and great power. Earthquake is for more coverage and who would not add earthquake anyways. Shell Smash is for later ingame when you will be in need of a great sweeper. And his defenses+sturdy do not mind it anyways. Ston Edge... Duh. He is the powerhouse of early ingame. He has Stone Edge as STAB. Earthquake finished the EdgeQake set. U-turn for coverage and quick getaways. Acrobatics is very useful ingame. Because of the lack of items, he will usually have that at 110 BP letting him rip stuff apart. Although many prefer Carracosta over Archeops, the nice little niche Archeops has is the ability to be a special sweeper. So if you get a modest nature, don't worry, you cna just make a mixed set. After destroying Clay with Serpy get his nice guy. Thuner+Compundeyes=91% hit rate=DESTROY. Yup that is it. My fav bug. Thunder is STAB. Volt Switch is STAb and allows to you switch in Archeops when you enticipate a ground type move. Energy Ball is for killing Rock or Ground Types. You will continue to kill Skyla with Galvantula and then get your next Pokemon. Most will choose beartic over Vanilluxe. Why my choice? His 79 base Speed. The fastest Unova ice types, he is unstopable in the 8th gym and just rips it apart. Ice Beam is STAB. Toxic is very useful when fighting types that resit you but cannot KO you. Flash Cannon for coverage. HP ground to cover 3/4 of its weaknesses. Da BAWS is here! Crunch for STAB and is viable because of this mix set. Dragon Pulse is STAb and hits like a tank. Charge beam can be chosen over Surf because it can quickly becaome more powerful, but sometimes the aditional coverage Surf adds is more than just power. Fire Blast is BAWS on this set. With Fireblast and Dragon Pulse, NOTHING resists him! Well there you go. Hope it helps! you get and evolve hydriegon too late and as the guy upstairs said,surf and fly.